You might have heard that Apple held one of its events on Monday night to introduce new technology that will be rolled out in the next couple of months. Among the biggest announcements made by CEO Tim Cook today was the lowered price of the company's sole wearable tech product. 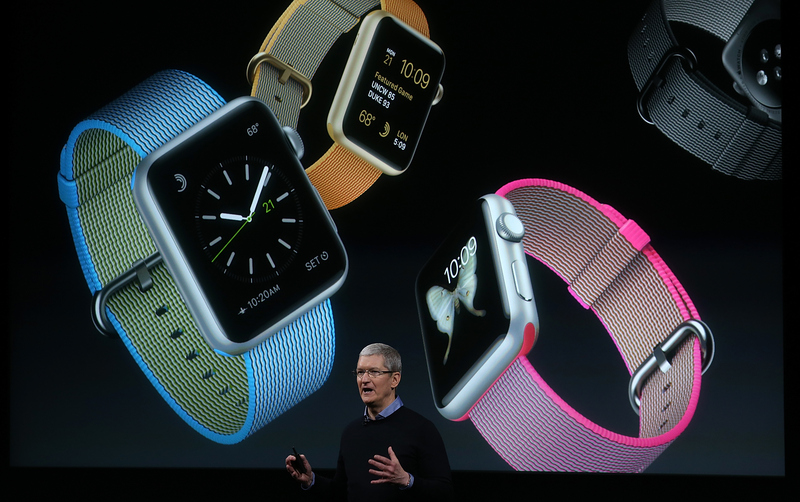 So, how much is the Apple Watch going to cost after its major price adjustment? Apple has slashed the price down to $299, making it a little more affordable for consumers. When the Apple Watch debuted in 2014, non-early adopters were more than hesitant to drop $349 (the original starting price) for an accessory that has been around for centuries and available in lesser price points. Even though the Apple Watch promised to revolutionize wearable gadgets the same way that its big sisters the iPhone and iPad changed the way we communicate, there weren't enough reasons to justify such a luxury purchase — and let's not even talk about the diamond-studded Apple Watch, which will set you back $115,000. Aside from its reduced price, Cook also announced that the Apple Watch will be available in new band styles, including woven nylon bands, a space black Milanese Loop, and more color options for the sport and leather versions. The new Apple Watch nylon bands are designed much like the straps for diving watches. The nylon bands will also come in seven color options. Aside from the price reduction and new band styles, the Apple Watch hasn't gone a major makeover. Still, the newly announced price drop might be enough for more folks to consider jumping on the wearable tech bandwagon.